Illustrated Handbook of Ophthalmology provides information pertinent to the fundamental aspects of ophthalmology. This book provides the correct diagnosis and treatment of many ocular disorders. Organized into 22 chapters, this book begins with an overview of the anatomy and physiology of the eyes. This text then discusses the professions that require an extremely high standard of ocular fitness, including pilots, signalmen, train drivers, and deck officers on board ships. Other chapters consider the high risk of ocular injury in some occupations, including engineers, drillers, riveters, iron dressers, blacksmiths, and hot metal workers. 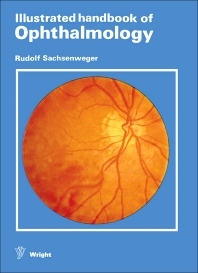 This book discusses as well the various ophthalmological examination methods that all clinicians should be able to perform. The final chapter deals with some of the more serious ophthalmological emergencies, including optic neuritis, infantile glaucoma, retinal detachments, retinal tumors, chemical burns, visual field defects, and orbital cellulitis. This book is a valuable resource for ophthalmologists and clinicians.